Enter Tea Collection’s Holiday Celebrations Sweepstakes 2015! If you are planning to buy kids’ apparel, we have some great news for you. Tea Collection has some new arrivals inspired by Patagonia, the southernmost tip of South America and they are also giving away prize packs to 3 lucky winners in Sweepstakes 2015! Tea Collection has partnered with Hello Fresh, May Designs, Try the World and Green Kid Crafts to bring you and your readers one wonderful Holiday sweepstakes 2015. With the holiday season upon us, Tea knows that you will be exchanging well wishes, warm greeting and gifts with your family and friends. We’re all thankful for the connections we have – both around the corner and around the world – it’s certainly a reason to celebrate! Tea is celebrating by giving away goodies to help your entire family create connections to new cultures, new ideas and cherished loved ones. 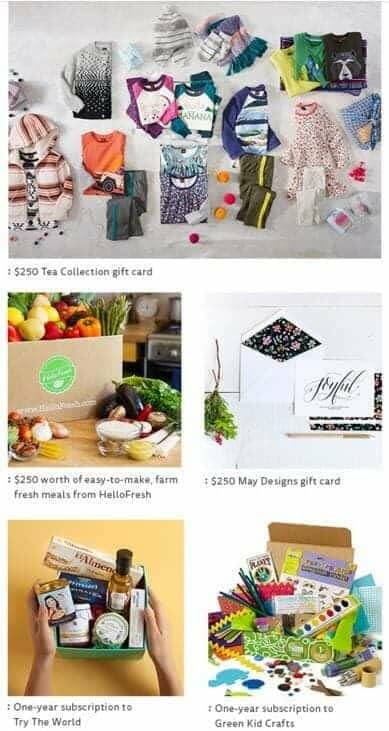 Three lucky winners will get a $250 Tea Collection gift card, $250 worth of easy-to-make farm fresh meals from HelloFresh, $250 May Designs gift card, a 1-year subscription to Try the World and a 1-year subscription to Green Kid Crafts. Sweepstakes is open to legal residents of the United States (excluding Puerto Rico) and Canada (excluding Quebec), 18+ years of age. The last day to enter is 11:59 PM PT on November 22nd, 2015. Enter for a Chance to Win Tea Collection’s Holiday Celebrations Sweepstakes 2015 ! 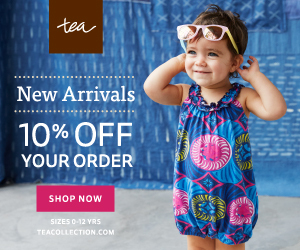 Don’t miss Tea Collection’s newest delivery! 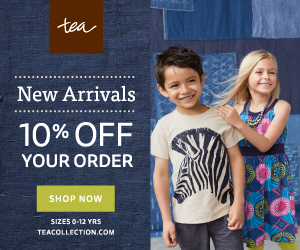 Tea announces their new arrivals inspired by Patagonia, the southernmost tip of South America. No visit to Argentina is complete without a trip to Patagonia. Tea was inspired by the windswept beauty of the Patagonian steppe, and they created a collection of winter-ready styles that make great gifts for little citizens. For girls, you’ll find dress starting at $29.50 featuring geometric prints and bright colors that mix and match with cozy fleece-lined leggings. For boys, Tea offers cool prints and patterns on warm flannel and thermal shirts – layers to keep him warm on all his winter expeditions. Fleece lined jogger pants start at $35! For Baby, you’ll find alpaca blend styles that make the perfect gifts to keep your littlest citizens cozy as the temperatures drop. Floral prints, geometrics and metallic – Tea has you covered for all of the season’s festivities. You won’t want to miss these new arrivals.